USG People: breaking internal barriers and leveraging candidates’ data with Search! 12-07-2016 • Categories: Clients, News, Search! Back in 2010, USG People launched its own job board – G.us – which stands for ‘Google us’. At the time USG People had 17 different brands with a total of 7,000 online vacancies and heavily relied on job boards where they spent around €2.5 million a year on job ads. After noticing that more and more candidates were using Google as their starting point for a job search, they decided to set up their own job board. The job board registered more than 200,000 visitors per month, among which 43% were returning ones. Furthermore, up to 200,000 applications were received each year with a placement rate of about 10%. Despite this apparent success, USG People still faced a considerable challenge: how to place the other 90% of candidates that have sent in their application? The many applications received each month by USG People, sometimes as high as 50,000, were stored in the different systems of various operating companies. 50% of these applicants were already in at least one of USG People’s databases. Nevertheless, their consultants did not take advantage of this untapped resource. Firstly, because they were mainly occupied with administrative processes and posting job ads and secondly because the search capabilities of those databases were far from optimal. A reason for this was also the poor quality of the stored candidate profiles. Often they were not complete and missing some key skills. Textkernel’s CV parsing software Extract! discarded manual data entry both for recruiters and applicants while keeping the high level of data accuracy. To overcome the second challenge in this extremely competitive industry, where processes need to be fast and efficient and all incoming applications should be leveraged and placed on a job, one unified database seemed to be the obvious solution. However, subsidiaries had many reservations about sharing candidate data. 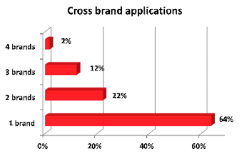 Although USG People’s subsidiaries claimed exclusivity of their candidates, the management noticed that one third of all candidates applied for more than one brand. Still only a small percentage of all online applications were getting placed on a job. After being introduced in February, USG People now has an enormous amount of applications in its system, thousands of users, tens of thousands of searches per week and a large flow of new incoming résumés every day. So far, USG People has placed several candidates with its new semantically searchable database. “Textkernel’s search technology has been an accelerator for sharing candidate data. The willingness to share has grown and the fear of losing candidates to other subsidiaries turned out to be unfounded. On the contrary sharing the profile data benefits both the consultant and the candidate.” concludes Ton Sluiter. See the slides from Ton Sluiter’s presentation at Intelligent Machines and the Future of Recruitment. Find out more about our semantic search engine Search! USG People is using Textkernel’s semantic search technology Search! connected to their CV databases. Consultants can search for candidates across multiple databases with one semantic search query. If you want more information regarding Extract! and our semantic search engine Search! contact Textkernel directly for a demo.